The recent UN vote on Israeli settlements is belated and toothless, but it gives a boost to anti-occupation activists. Strong words. But they were entirely toothless. The resolution neither provided nor threatened consequences should Israel violate the resolution — just as the US government made sure that no consequences have resulted from Israel’s continual violation of similar Security Council resolutions from as far back as 1979 or from its flouting of the 2004 opinion of the International Court of Justice. In explaining her vote on Resolution 2334, US ambassador Samantha Power declared that the Obama administration was committed to blocking any resolution that attempted to impose a solution on the parties — which is to say, any resolution that attempted to compel Israel to comply with international law. If Obama had wanted to make a clear statement on behalf of Palestinian rights, he could have followed the lead of 137 UN members and the urging of former president Jimmy Carter and recognized the state of Palestine. Or, less symbolically, he could have put forward a resolution declaring that all states should refrain from supplying military aid to Israel as long as its illegal settlements remain — which, of course, would apply mainly to the United States. Just three months ago, President Obama approved an unprecedented $38 billion in military aid over ten years to Israel. Obama’s failure to act against Israel has a long history. Obama began his political career with some sympathy for Palestinian rights. But as he moved from the state legislature to the US Senate and the national stage, he cozied up to the Israel lobby — just as in domestic politics he transitioned from community organizer to Wall Street advocate. During the 2008 presidential campaign, Obama told AIPAC, the right-wing Israel lobby, that Jerusalem should remain Israel’s “undivided” capital — though he walked that back the next day. Obama took office just as Israel’s first assault on Gaza, Operation Cast Lead, concluded. Amnesty International issued a report condemning war crimes on both sides and called on those who supplied arms to either side to cease doing so. The response of the Obama administration was to ship Israel what Amnesty called a “massive consignment of munitions” and to work to delegitimize human rights reports critical of Israel’s Gaza conduct. Obama had many opportunities during his two terms to press Israel to reverse its settlement project. In doing so, Obama wouldn’t have needed to break new ground. His predecessor, George W. Bush, had already gotten Israel to commit to the “Road Map,” which obligated Israel to stop settlement expansion, including “natural growth,” and the Road Map was endorsed in a Security Council resolution that Washington supported. But when Obama asked Israeli prime minister Benjamin Netanyahu to freeze settlement expansion, Netanyahu set a number of conditions — and Obama accepted them. Then, when Vice President Biden was in Israel, Netanyahu, in an in-your-face move, announced the construction of 1,600 new settlement units in East Jerusalem. In 2011, the Security Council considered a resolution calling for a settlement freeze. The fourteen affirmative votes (and the wishes of the resolution’s 120 co-sponsors) were overridden by the Obama administration’s veto. Though this was Obama’s only UN veto, the ever-present threat of a US veto assured that his was the only presidency since 1967 under which there was not a single Security Council resolution critical of Israel. Any of these missed opportunities might have given the United States time to follow up and press Israel to stop settlement construction in a meaningful way. But Obama was not willing to endanger his reelection chances or use up his political capital (such as it was) by seeking justice for Palestinians. Had Hillary Clinton won the 2016 election, it’s quite likely that Obama would have vetoed Resolution 2334. Clinton would have been pursuing in many respects Obama’s third term, and he wouldn’t have wanted to risk her prospects. It is only now that Trump threatens Obama’s entire legacy that the lame duck president is willing to depart from his cautious inaction. Still, despite the fact that the US abstention was far from a profile in courage and too little, too late, Resolution 2334 may in fact have quite a few positive consequences. Although the Security Council has been on record since 1979 declaring the settlements illegal, there has not been a council resolution centered on the settlements for over thirty-five years. Resolution 2334 reaffirms the international consensus that, despite all that has changed, despite the huge growth in settler population, the settlements remain illegal. The resolution focuses attention on the issue of the settlements at a critical time. The prosecutor of the International Criminal Court is currently deciding whether to open a full-scale investigation of possible Israeli war crimes in the occupied territories; Resolution 2334 might influence her decision. Resolution 2334 also provides an important boost to boycott, divestment, and sanctions (BDS) activities focused on the occupied territories. The resolution calls on states “to distinguish, in their relevant dealings, between the territory of the State of Israel and the territories occupied since 1967.” This will make it easier for the European Union and others to target settlement products. And it provides another argument against anti-BDS legislation in the United States. For example, New York State’s anti-BDS executive order by Governor Andrew Cuomo has blacklisted for punishment firms that boycott the occupied territories, but not Israel itself. And New Jersey’s anti-BDS law explicitly penalizes those who boycott “Israeli-controlled territory.” So these anti-BDS efforts, besides running afoul of the US constitution, violate international law as well. Netanyahu has indicated that he hopes to work with Trump to nullify the effect of the resolution. But while US veto power can block UN action, it can’t compel UN action (as was seen when the Bush administration was unable to get Security Council authorization for its 2003 invasion of Iraq). So there is no real chance that Trump will be able to reverse Resolution 2334. Another benefit of the resolution is that Netanyahu’s berserk reaction to its passage has led to what Juan Cole has called Israel’s “self-BDS-ing.” Israel and Trump had pressured the despicable Sisi regime in Egypt into withdrawing the draft resolution, but it was introduced by Malaysia, New Zealand, Senegal, and Venezuela. After the vote (which the entire Security Council, including Egypt, supported while Washington abstained), Israel imposed sanctions on Senegal (re-affirming Israel’s belief in the power of boycotts, divestment, and sanctions) and withdrew its ambassador to New Zealand. Netanyahu told his ministers to stay away “from those countries that voted against us,” cancelling a meeting with the British prime minister and a visit to Israel by the Ukrainian prime minister. Those who think that Trump might keep up pressure on Israeli settlements are engaged in wishful thinking — you don’t assemble a team of settler enthusiasts if that’s your aim. But there’s no doubt that an Israel whose one friend is the United States under President Trump is more isolated than ever. And that one friend is a country where the historic consensus in support of Israel is undergoing profound shocks. Even though there was denunciation of the US abstention from the usual bipartisan Israel shills like Senators Mitch McConnell and Chuck Schumer, there are deep divisions in public opinion. 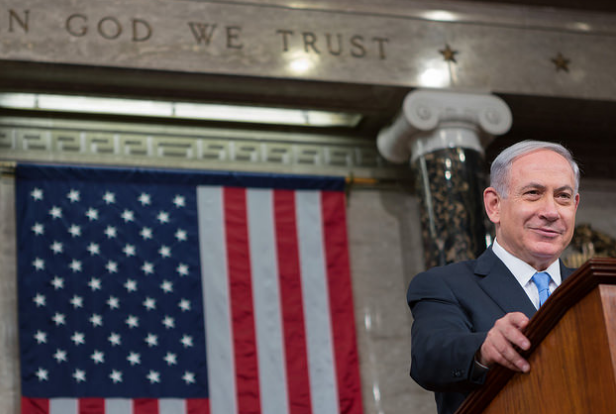 Among Democrats, 60 percent favor imposing sanctions against Israeli settlement expansion. The right-wing Israel lobby and Jewish organizations denounced Obama, but many liberal Jewish groups and rabbis have welcomed the UN vote, and polls show that more American Jews oppose the settlements than support them. These will be a terribly dangerous next four years as Trump and Netanyahu try to impose a Greater Israel. But there is also the possibility of building resistance to this project, internationally and in the United States. These efforts will be of the utmost importance.